There is both good and bad news coming from Silver Lake Mall in Coeur d' Alene. Both come from the shopping center's food court. First for the bad news ( depending on how you see it ) , the mall's Taco Time restaurant has gone out of business. This leaves the food court with only one restaurant tenant, Flaming Wok. But Flaming Wok won't be alone in the court for very long as 3 businesses are coming soon. Aebleskivers is actually already a business at Silver Lake Mall but will be moving into this new space in the food court. Aebleskivers is located near the mall's center court where it is still open until the new location opens. Aebleskivers is a small locally owned and operated business that is based the European food called Aebleskivers. The business sells these in many flavors. But as time has gone by Aebleskivers has grown by diversifying their offerings. As the name implies Philly Express will focus on these Philly Cheesesteaks with several options. The sandwhiches that will be avalible at Philly Express are , in fact, already for sale at the current Aebleskivers location. Some phillys and other items may be added and will keep you posted on this. 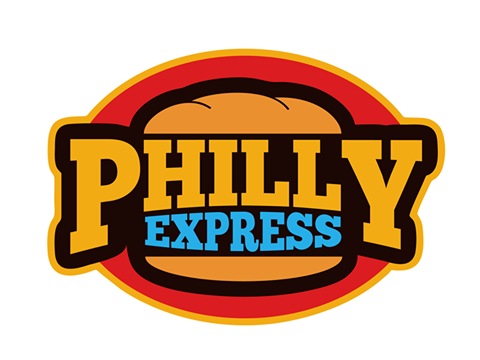 Philly Express Philly's are made with provolone cheese and Amoroso Baking Company roll made in Philadelphia. Watch for updates as we don't have the opening date for this new business. Operating as a small kiosk in the Silver Lake Mall for some time. Barbara's sells a selection of home made fudge, With many flavors available. Barbara's will join Philly Express and Aebleskivers in the food court spaces. Although the local location was recently removed from their official web site, it looks like Planet Fitness is coming to the Spokane area. The chain, for a time, posted a location in Spokane Valley with the news that pre-grand opening specials are coming soon. This news does add up as the company has been rumored to be looking to open a location in our area. This new Planet Fitness will be in Spokane Valley at 13112 E. Sprague Ave. . This is the same address as the former Value Village store, which relocated to the corner of E. Sprague and Pines a few months ago. Right now it appears this will be the only Planet Fitness location in Spokane area. We will update this posting once we find out more about this new Spokane Planet Fitness location. So, keep watch for an opening date , how many employees and more. Planet Fitness is a rapidly growing chain of fitness centers. The company is based in Newington,NH and as over 900 locations and recently expanded into Canada with a location in Toronto. The chain features a low cost business model with gym memberships available from as low as $10 per month. I stand behind the statement that Spokane and the Inland Northwest are great places to start a business. And, The Lilac City is becoming even more friendly to these " start up " businesses all the time. In fact, today several new business incubators and co-working facilities are found here. But, until recently there was no manufacturing incubator space for start up manufacturing businesses to turn too. 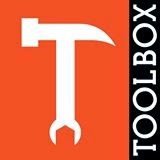 Enter Toolbox, Spokane's newest manufacturing incubator and by my research Spokane's first. Toolbox has set up shop at 840 E. Spokane Falls Blvd. Building #1 and provides start up's with space to grow their business idea into a booming company. The hope is this new space will create new jobs for the local area at the site and by growing company's . The space Toolbox occupies is not huge with about 7,500 square feet but will provide many resources. They will also help with mentoring and provide an on site conference room. Some additional renovations are to be done to the space but already a select group of businesses are already using Toolbox. And more are likely to come. And one of those tenants mentioned above is exciting in it's own right ( not that they aren't all great company's ). That tenant is Spokane Create which is described as " Spokane's makerspace / hackerspace " . Spokane Create is actually a non profit organization and is open every Wednesday night. 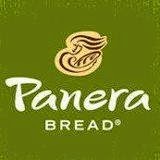 Thanks to some amazing INBW readers, I can safely confirm that Panera Bread is going to open a restaurant in the Spokane area. I have yet to hear from Panera's corporate staff, but after requesting if Panera was coming, many of my INBW readers responded. 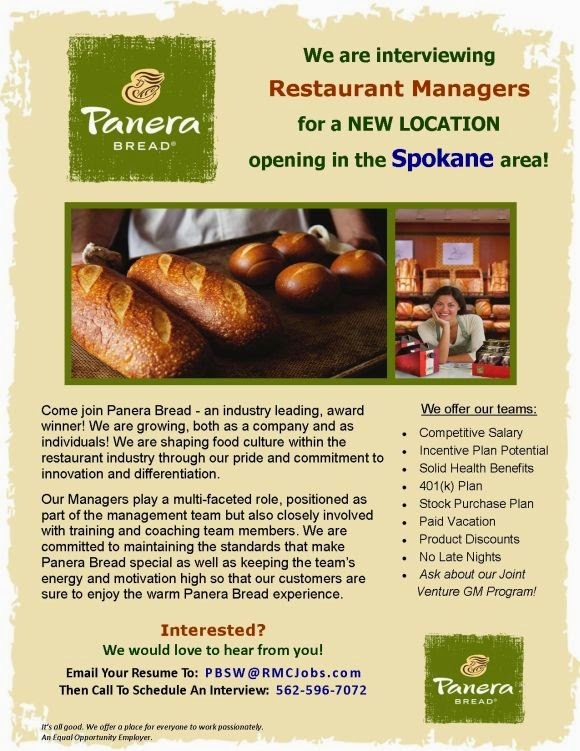 And have proven that Panera Bread opening soon here and will be located in Spokane Valley. As I write this the bidding has gone out on the project to build the new restaurant, so one would think it would be opening in the Summer or Fall this year. We will re-update this post when we get all the info, we're still looking into opening date, how many employees, etc... . In the construction information the restaurant will take 5,100 square feet and be a stand alone structure. As far as where in the Valley Panera Bread will be? No exact address is given but a few readers tell me it will be nearby Spokane Valley Mall. Watch the bottom of this post as time goes by for the exact address and more updates. Panera Bread is a growing chain of fast service café / bakery style resturants. The chain is based in Kirkwood,MO and today operates almost 2,000 locations. This will be the company's first location in the Inland Northwest. Panera Bread will be located at 15716 E. Indiana Ave. just east of Spokane Valley Mall. After being officially announced a few weeks ago we're starting to see action on the new Spokane location of Ezell's Famous Chicken. We're told the concrete floor will be poured in their unit soon ( if it hasn't already ) with the remaining construction also starting soon. This new restaurant will be a tenant in the new Regal Plaza shopping center ( site of the new South Hill Target ). Their address will be 4919 S. Regal . For those who are unfamiliar with Ezell's Famous Chicken, they are a popular fast style fried chicken restaurant with 10 locations around the Seattle / Puget Sound area. This new location in Spokane will be the first to open east of the Cascades. The chain has even received a few awards including being named the most life changing fried chicken in America by Esquire Magazine. In Spokane, Ezell's Famous Chicken will occupy about 1,700 square feet of space at Regal Plaza. The restaurant will employ plus or minus 15, depending on sales volume. Spokane's Art Scene is heating up, with a few recent new gallery openings. In addition to all the news coming from Terrain, who is in the process of setting up a new permanent home in SoDo Spokane ( search this site for more on this news item ) . And now greatly adding to that scene is the new non profit, Urban Art Co-op which is coming soon. They plan to be open for business in April with an open house on a yet to be announced date in the Spring. Urban Art Co-op will be located at 3017 N. Monroe St.
We will surely be learning more about Urban Art Co-op in the coming weeks and months. But what we do know about them is they will have on site classes and workshops. Judging by their web site the co-op will focus largely on pottery. In fact, the web site includes links to many pottery items already for sale and well worth checking out. "Urban Art Co-op provides a place where artists of all levels can work, collaborate and share ideas." Calling all Inland Northwest Business Watch readers! We need your help, as thanks in part to an alert reader I think we may be close to proving a long running new business rumor as true! That rumor is that Panera Bread is coming to Spokane, a while back we checked up on this rumor and at that time it seemed to not be happening. But now I've been alerted to a job posting for restaurant managers locally for Panera on indeed.com . So, here is the problem. I can't seem to locate where this new Panera Bread location will be? Or when it will open? I've contact Panera Bread twice but only got vague form responses back. Could this be one of those new restaurants going into Northtown Mall? South Hill? You can remain anonymous, or if your a real estate agent, etc... I can credit you on your sale / lease. Thanks to a great INBW reader, the Safeway grocery store on Argonne Rd. , just south of I-90 in Spokane Valley has been confirmed to be closing it's doors soon. We mentioned this as a strong rumor back in late Jan. and hoped the news was not true. But unfortunately it has been confirmed by Safeway employees. Their current last day of business will be March 4th. The closure is due to the lease expiring on the building / low sales / heavy competition in the area. What we had heard, but not confirmed is that some employees of the Argonne Rd. store will be able to transfer into other open positions at other Spokane area stores. The Argonne Rd. Safeway is located 1441 N. Argonne Rd. in Spokane Valley. In addition the Liberty Lake Safeway location on Liberty Lake Road will also be leaving the Safeway chain but will stay open for business. A franchise based national chain of massage therapy clinics is adding to it's number of locations in the Spokane / Coeur d' Alene area by adding two new stores soon. This coming only a couple of years or so after the chain even entered the local market area. The South Hill Massage Envy will open in next few weeks as the location is listed as opening in the Spring. They will take over 3,800 square feet of space near the Applebee's Restaurant in the plaza. This location will open towards to end of February. It will be located in the section of the plaza in between Albertson's and Rite Aid. Also, Massage Envy will continue operations at the chain's first Spokane location. That location is in the Spokane Pavilion Shopping Center by the North Spokane Winco grocery store. That location's address is 920 E. Hoerner Suite 100. In addition to massage, Massage Envy also includes some spa services including facials and scrubs. Massage Envy is based in Arizona and has over 1,000 locations in business with many more coming. Locally produced ice cream, in a ever changing variety of flavors is what Spokane based Brain Freeze Creamery is all about. The business has been a part of Spokane for some time and about a year or so ago they opened a permanent retail shop in Kendall Yards. That shop will continue to be open and continue on it's success along W. Summit Pkwy across the street from The Inlander's office building. But now, they will add to that retail offering with a new retail location, this time on the South Hill. 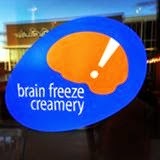 The new South Hill Brain Freeze Creamery will be located in about 800 square feet of space 3103 S. Grand Ave. nearby the corner of S. Grand and E. 29th ..This new location is currently scheduled to open sometime around April with an exact date coming sometime before then. The South Hill location will be similar to the Kendall Yards with local ice cream, coffee , other sweet items. Also lighter fare food items like sandwiches ,etc... will be included with the exact menu being worked on now. 16 flavors of ice creams will be served at the new location with milkshakes also included in the menu. While not the normal for profit type of business that is usually highlighted on this blog, one local up and coming non profit group is set to receive some exciting national attention by appearing on the Rachael Ray Show. That group is Blessings Under The Bridge, a Spokane based non profit that works to give back to the city's homeless population. And while, yes, Blessings Under The Bridge is a faith based non profit all those in need are welcome to take advantage of their services. 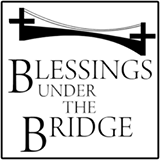 Blessings Under The Bridge feeds the homeless population in Downtown Spokane every Wednesday night from 6pm - 7:30 pm . Those " feeds " take place fittingly underneath the I-90 freeway bridge on the southern edge of Downtown. They meet and serve near the corner of 4th and McCellan, with meals prepared at BLRB's site by a volunteer crew. Blessing also provides those in need with blankets, etc... all at no charge. Donations and volunteer workers are welcome, more information is on their web site at the bottom of this article. So, when will Blessings Under The Bridge be on The Rachael Ray Show? The group will be highlighted during the Rachael Ray Show episode tomorrow, Wednesday ,February 11th 2015 . It is also possible the show will be re-run at later dates. Check local listings for exact air times, however the new episode will air locally on KXLY channel 4 at 3pm. We're not sure what all will be said about Blessings Under The Bridge on the program. It's thought possibly a highlight video, interview , etc. . The Rachel Ray Show's web site simply id's this portion of their show as " Meet a Couple Who Has Dedicated Their Lives to Helping Others "
One of my prior posts about Indaba Coffee opening a new second location has taken a huge step forward. The popular coffee shop in Spokane's West Central neighborhood has launched an online fundraising campaign to raise extra funding to open this new location. While it is implied that this new Downtown Indaba Coffee will still happen regardless of the campaign, it is an important part of the businesses goals. The fundraising is being done on the web site indiegogo.com. In my personal opinion, I highly recommend visiting the Indaba project page and doing what you can to support Indaba. 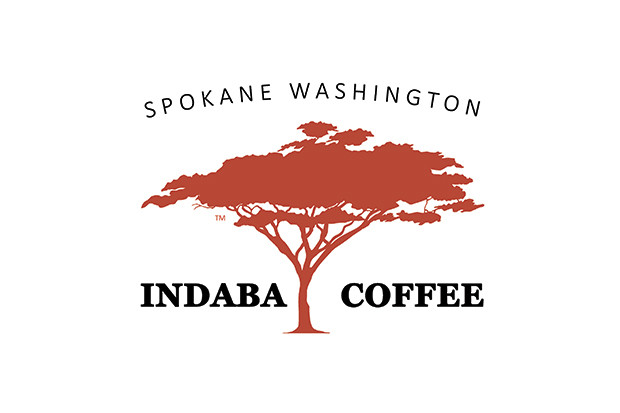 Indaba Coffee gives back to our city in many ways and such a business helps to set a standard for what business can be , local and caring. The campaign includes many interesting perks, everything from a hand shake for $ 1 up to coffee for life for $ 30,000 . The campaign continues through March 15th 2015 and is requesting a goal of $ 30,000 . As of my writing this ( on Feb 9th ) the site has already earned almost $3,000 , a success for the early date but with still a long ways to go. Update: The new location will be designed by Uptic Studios of Spokane, the same firm that also designed Casper Fry , The Flying Goat and many more local buildings. Renderings of the new Indaba are said to be coming on their Facebook page. After several months of construction work the project to " finish " the Convention Center is nearing it's end and we're now only days a way from the official opening. As is implied in the promo ad, some more details on this open house is still coming. 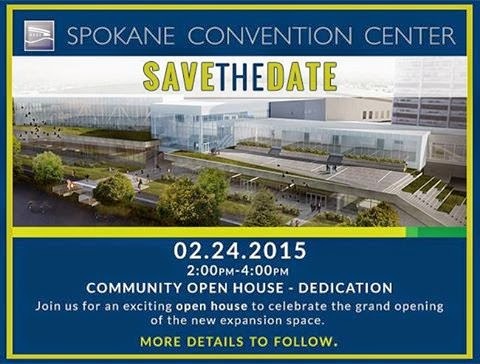 For more as it is announced follow the Spokane Convention Center via the links at the bottom of this article. - Makes Spokane more marketable to conventions and shows. This means Spokane will be on caliber with other major Northwest cities like Seattle and Portland. - Newly redesigned Centennial Trail running behind the convention center. This is one of the busiest sections of the entire Centennial Trail system. Last week the struggling national but outdated electronics chain Radio Shack announced they would enter into Chapter 11 bankruptcy and make changes to their stores including closing over 1,000 stores. Today, the list of those stores that will close was published and many of the Spokane area stores are on the list to close. In fact many stores nationally will close and hold going out of business clearance sales, Alaska is the only state where no store closures are planned . We're also told the Radio Shack stores that stay in business will be redesigned under a plan from one of the company's largest shareholders. If that plan goes forward the stores will be a hybrid store of sorts with half Radio Shack and half a Sprint cell phone store. There is no last day of business for the stores mentioned as of yet. Overlooking Riverfront Park and Downtown Spokane, The Red Lion Hotel at the Park is already a not to shabby hotel. The high rise building, at 303 W. North River Dr. has stood as a sort of flagship property for the Red Lion Hotel brand for many years. In fact, the hotel is directly next door to Red Lion Hotel's corporate office building. But now the Red Lion Hotel at the Park is set for an extensive upgrade and complete re-branding. It has been announced that the property will leave the Red Lion branding for Red Lion's newly created Hotel RL branding. Hotel RL is a more upscale hotel style with more amenities and modern services then before. 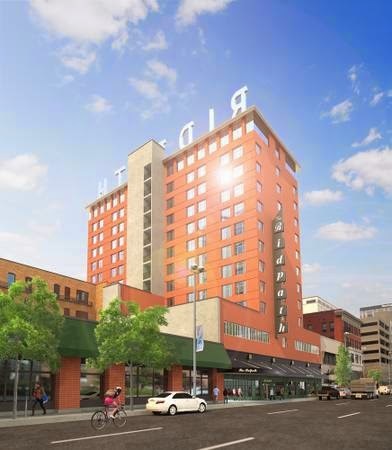 This upgrade is supposed to make the property among the nicest hotels in the Spokane market. Upgrades and renovation work will begin soon , if they haven't already. It is expected that property will re-open as Hotel RL at the Park in about a year. The hotel and attached restaurants will remain open during any construction work. As I mentioned before, Hotel RL's include more modern services, which will continue on at this hotel. Once the transition is complete guests will be able to book rooms the same way they do airplane seats and use their smartphones as keys to access their rooms. Wifi service will also be available, and actually already is. No news as of yet if there will be changes to properties restaurants. In the hotel today is Windows Restaurant , Atrium Café & Deli and The Dam Bar & Grill. The Dam Bar & Grill opened just last year in the space that was last the Parkside Lounge. The hotel also offers meeting space and ballroom style event space. Last week renovation work on Downtown Spokane's landmark Ridpath Hotel got going once again after many, mostly unexpected delays. It is an interesting story complete with a small photo gallery of what the historic high rise looks like today. And, given this exciting news and KXLY story. I figured it's time to remind everyone exactly what is planned at the former hotel. The Ridpath will not re-open as a hotel, but instead is being revamped for use as a large apartment complex. New owner / developer Ron Wells of Wells & Company will convert the building to the new apartments and will change the name to Ridpath Club Apartments . - Opening to new tenants June 2015 , about a year after the originally purposed opening date. This was due to legal issues and a major water pipe leak. -The building will have " micro apartments " , with studio and 1 bedroom apartments. - According to the above KXLY story, a waiting list of over 200 has already formed for those apartments. 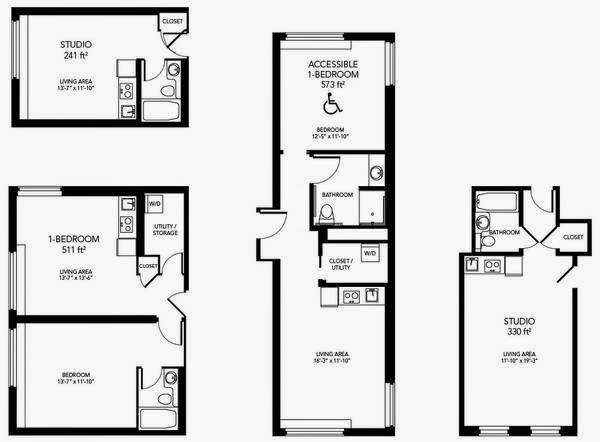 - Luxury penthouse style condos will occupy the top two floors. -The ground floor, and the other empty spaces that from the " Ridpath Block " will be made available as new retail / restaurant spaces. Unclear when business may be able to open in these new spaces, but the above story indicates a bistro / wine bar may be in some of the space. - Rental rates will range from around $400 per month up to $ 1400 per month . -Great views of the city and surrounding area's on upper floors. Additionally of interest , The Ridpath had a Motor Inn style hotel across First from the main hotel. This property will not be part of the Ridpath Club Apartment project. But new life is coming to the motor inn section, nicknamed The Ridpath Annex. That building was purchased late last year by Washington Trust Bank, who will convert that building to office building for much of their Downtown based staff. Important note: This is only an article about the new apartments / building project. I am not affiliated with the project and question about the apartments / commercial space should be directed to Wells & Company. 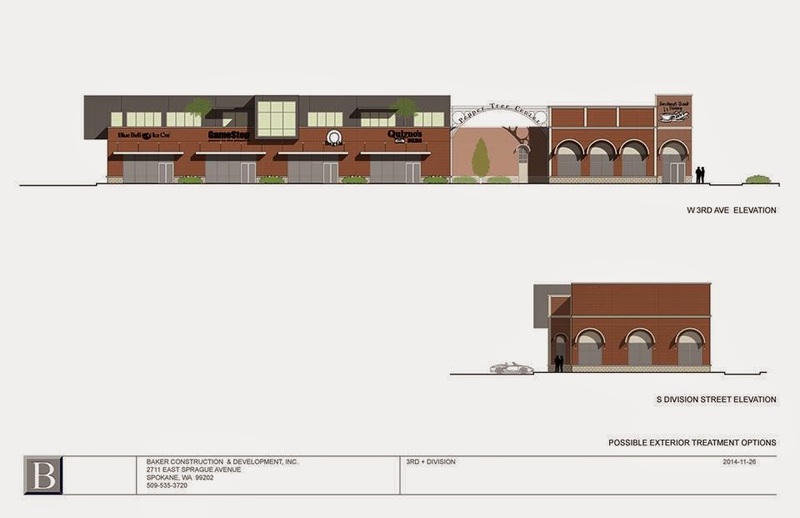 Later this year the South Hill's Manito Tap House will have a new sister restaurant. And, while this new restaurant will have some similarities to Manito, it will be a totally different establishment. This new place will be called The Blackbird and will be opening soon, north of Downtown Spokane on the first floor of the historic Broadview Dairy building. The Blackbird's address will be 905 N. Washington St. #100. The location will also be convenient as it is only a couple of blocks east of the Spokane Arena, helping it to possibly score some business from the events there. The Blackbird will serve an gastropub style menu. While we haven't seen a menu we're told The Blackbird's menu will be a bit more upscale then the menu at Manito Tap House. The new restaurant will have a wood fired grill and smoker. Also, The Blackbird will have a full bar and a good sized beer and wine selection. There will be 4 wines on draft, 34 beers on tap and 150 - 200 bottled beers. This new restaurant will seat about 115 inside and 130+ outside with 2 outdoor patios planned. Work is being done now to prepare The Blackbird for opening. And currently they plan to open in mid-to-late May. In all about 70 - 80 jobs will be created. 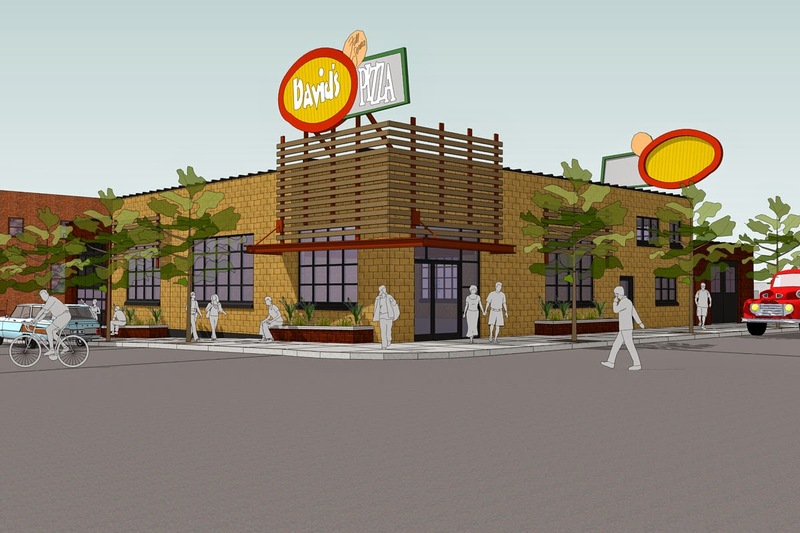 You have likely already heard the news, David's Pizza is returning to operating a stand alone restaurant in Spokane. But we have now learned that, that new restaurant will be ready and open fir business within the next few weeks. David's Pizza had operated a pizza restaurant in the Hamilton St. corridor by Gonzaga for a few years, building a strong reputation. But that location was forced to close after the site was sold to make way for a new multi tenant retail / restaurant building. However David's never actually went out of business, they have been making and serving their pizzas from inside Famous Ed's ( 2911 E. 57th Ave , Spokane ) since that closure. Famous Ed's will continue to serve David's Pizza, but David's will now have a new permanent home of their own. That new home will be a formerly vacant building adjacent to the former Hostess factory across the street from Spokane Arena. And here is the big news, the new David's should be open before the end of February, although there is no exact date set yet. The Post St. location will employ about 20 and hiring is underway for those positions now. The menu at this new location will be basically the same as before with a few new items, which we will see as the opening gets closer. Spokane has a new TV channel, well sort of. In the middle of January KREM's digital channel 2.2 made the switch to a become part of a newly formed TV network called The Justice Network. The network is a national channel that launched at the same time as the Spokane affiliate. The network has a distribution deal with Garnett Broadcasting, the owner of KREM and KSKN. This deal has put the channel on air in about 1/3 of US TV markets already. The Justice Network focuses on real crime TV shows, and some reality shows about crime. Included in the channel's line up are shows like: Alaska State Troopers , Body of Evidence , Masterminds , Missing Persons Unit and many more. As of now the Spokane affiliate channel appears to have little to no local programming, however we will keep an eye out should this change. The Justice Network is available throughout the local area over the air on 2.2 or on Comcast cable in Spokane and Time Warner Cable in Coeur d' Alene / Post Falls. It was mentioned earlier on this blog that current construction hole at the corner of Third and Division will soon be filled by a new building. After, a hotel project there failed a couple of years ago the site has sat empty and bit of an eyesore to those coming into Downtown. But, now that site won't be vacant anymore. Although it is still creating a bit of controversy due to the small strip mall style design more typical of suburban area and not ideal for a Downtown area where pedestrian friendliness is key. We, had only been speculating on designs for this new building until late last week when I stumbled upon these renderings of the purposed building. The building is actually a mixed use development, in that it will have two stories. The first will be restaurant / retail and the second floor will be office space. In the renderings, the apparent building name , Pepper Tree Center is visible. This name is likely due to the building owner being the same people behind the Best Western Peppertree Inn hotels. In fact, the management offices for Peppertree Inn's will occupy one of the office suites on the second floor. Also, in the renderings are business names. These are likely only placed there for marketing purposes but still gives us an idea of what we may one day see at the new building. No tenants have been confirmed for the Pepper Tree Center, however the space is geared towards having at least one restaurant tenant.